How can I set the function of the Network-USB server on the LinkStation? 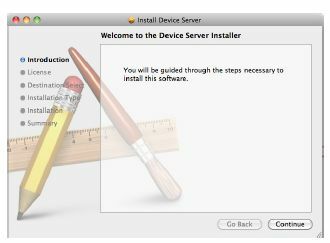 - Details of an answer | Buffalo Inc.
How can I set the function of the Network-USB server on the LinkStation? Before connecting a USB device to your LinkStation, first connect it directly to your computer so that the driver is installed. ・For a list of compatible USB devices that can be connected with the Network-USB server, see www.buffalotech.com. ・LS-XHL, LS-CHL, LS-WXL, and LS-WSXL LinkStation models do not support the Network-USB server. ・Maximum number of connectable USB devices: 15 (not including one USB hub). The number of connectable devices may vary depending on the customer's operating environment. ・If a device is recognized as multiple USB devices, the maximum number of connectable devices is reduced. ・Only one USB hub can be connected. In the Web Admin interface, navigate to [Extensions] - [Network-USB Server] - [Modify Settings]. 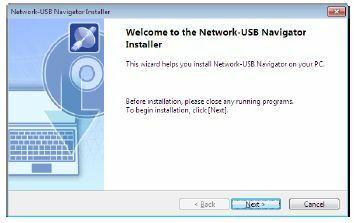 Next, follow the procedure on the next page to install Network-USB Navigator. The Setup Wizard should launch automatically. If not, open the CD and double-click [LSNavi.exe]. LinkNavigator will launch. Click [Options] - [Additional Software Installation] - [Network-USB Navigator] - [Install]. Click [Next]. The wizard will guide you through installation. Network-USB Navigator installation is complete. Refer to "Network-USB User Manual" for more information. Double-click on the LinkNavigator icon in the utility CD. Click [Continue]. The wizard will guide you through installation.